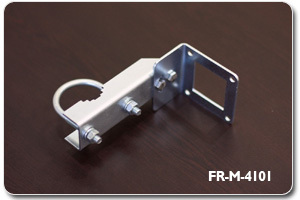 Mounts for Panel Antennas 12"×12" and 6"×6", suitable for poles with diameter range of 0.8"-6" and wall mounting. Information about mounts for “Sector”, “Omni” and other antennas not included in this table is provided in the corresponding antennas’ specification sheets. The company provides a one-year warranty. Expected Service Life is greater than 10 years. © 2018 Fractom. All Rights Reserved.